House Sparrow (Passer domesticus). Male. Taken at Abingdon, Oxon., on January 16th 2016. Male. Taken at Abingdon, Oxon., on January 16th 2016. House Sparrow (Passer domesticus). Female. Taken at Abingdon, Oxon., on December 25th 2010. Female. Taken at Abingdon, Oxon., on December 25th 2010. House Sparrow (Passer domesticus). Juvenile. Taken at Abingdon, Oxon., on April 29th 2017. Juvenile. Taken at Abingdon, Oxon., on April 29th 2017. 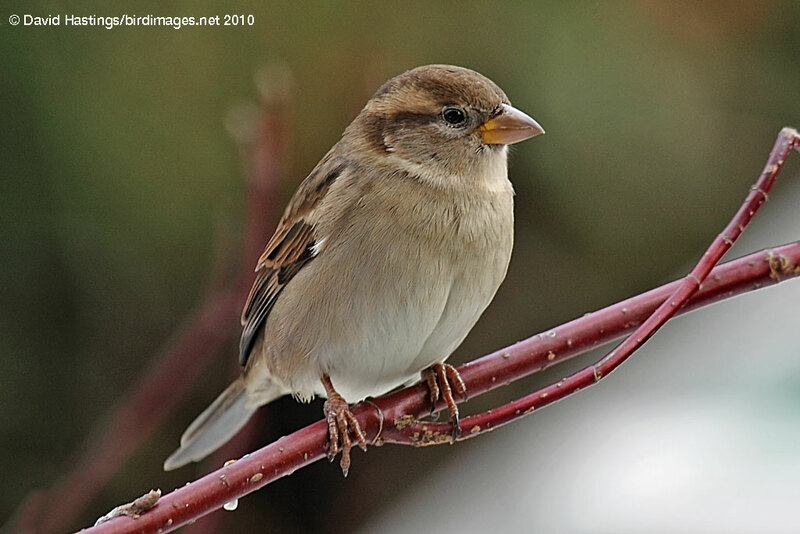 The House Sparrow is a well-known bird, as it lives and breeds in proximity to humans both in rural and urban areas. The main diagnostic feathure is that males have grey crowns. Females are rather drab. It can be found throughout the British Isles, other than the Scottish highlands. It can utilise a variety of habitats, from the centres of cities to farmland, but always close to people. 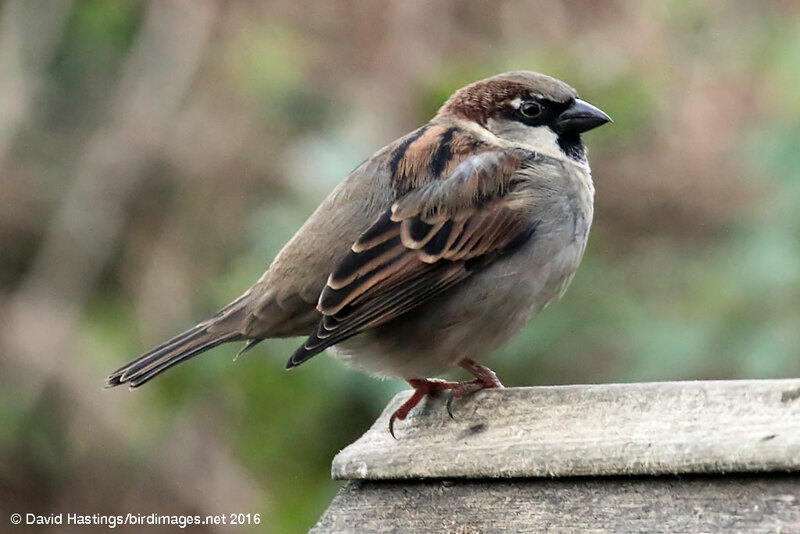 House Sparrows are very social birds, even when breeding, and can form large flocks. 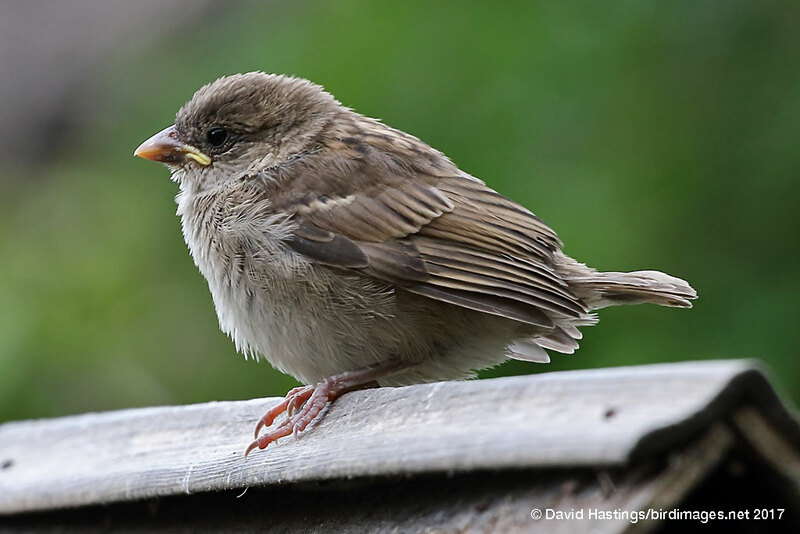 The House Sparrow is a Red list species, owing to a significant population decline between 1977 and 2008. Even so, there are around 5.3 million pairs in the UK.